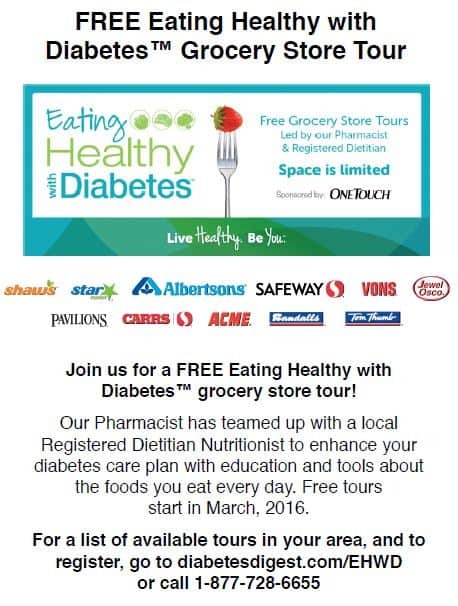 How to eat healthy with diabetes: FREE Grocery Store Tours Nationwide! Sign up for a FREE guided grocery store tour! Disclosure: I am working with the OmniChannel Health Media to promote the health education described in this post, I.E. how to eat healthy with diabetes. As always, all opinions expressed are my own and I only promote programs that I truly believe in! Did you know that according to the American Diabetes Association, as of 2012, 29.1 million Americans were considered diabetic? Even more startling is that over 86 million Americans have been diagnosed with prediabetes. Tough numbers to grasp, right? As a nutrition professional, I am always ecstatic when I see companies support healthier habits that can be formed when proper nutrition education is given. I.E. Learning how to eat healthy! That’s why I’ve teamed up with OmniChannel Health Media in promoting the FREE Eating Healthy with Diabetes™ grocery store tours beginning in March at the following stores: Acme, Albertsons, Carrs, Pavilions, Randalls, Safeway, Shaws, Star Market, Tom Thumb and Vons. 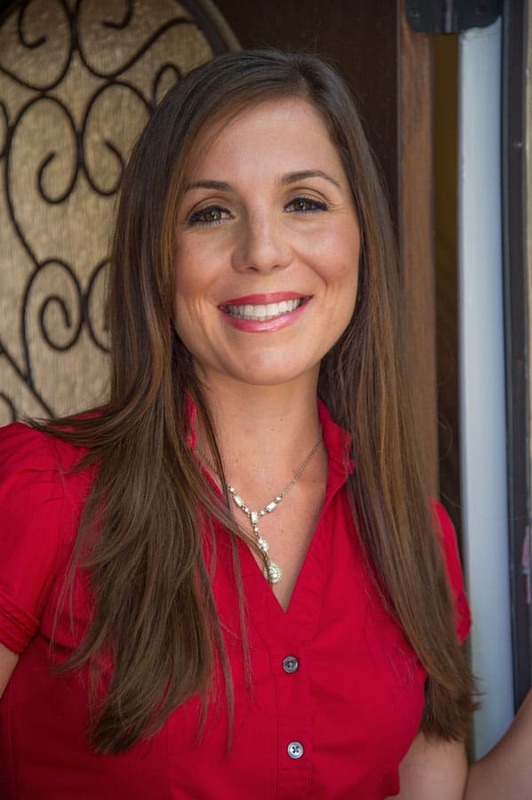 Pharmacists are teaming up with a local Registered Dietitian Nutritionists (like me!) for FREE Eating Healthy with Diabetes™ grocery store tours to enhance your diabetes care plan with education and tools about the foods you eat every day. 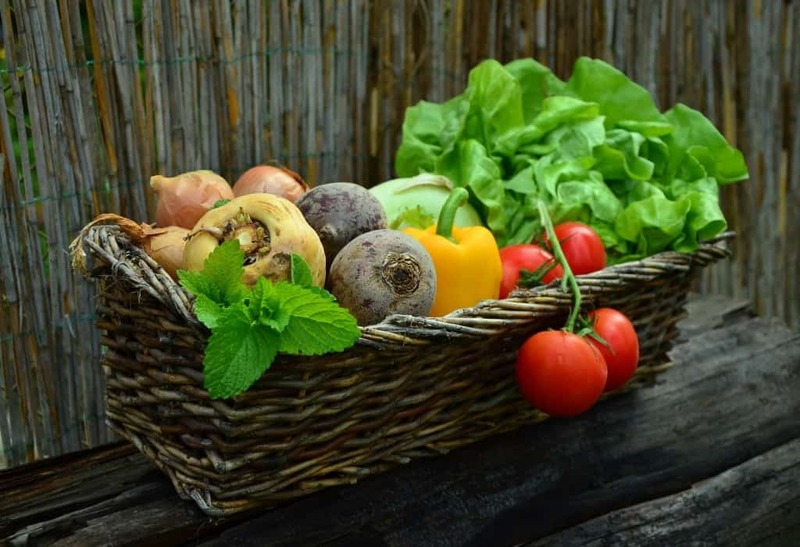 To set you up for success in the meantime, here’s five foods to focus on as you learn how to eat healthy with diabetes. Filled fiber and minerals like magnesium and potassium, these are a great addition to your meal plan. Use them in place of protein in your main dishes for a budget saving trick! Don’t fear the fruit! It’s filled with natural sugars that’ll satisfy your sweet tooth while also providing you with many nutrients like vitamin C and soluble fiber. Try using fruit as a replacer for added sugar in your baked goods, it’ll increase the nutrient density of that banana bread! Fill half your plate up with these guys! Low in calories and carbohydrates, they are an excellent way to add volume to your meals. These foods help fill you up without filling you out! Packed with B vitamins, protein and fiber, incorporating more whole grains into your daily meal plan will fill you up without filling you out! Focus on pairing a whole grain source with a dark leafy green, think fresh salads topped with quinoa. The perfect protein-carbohydrate ratio to leave you feeling fueled and focused. Filled with vitamins and minerals, avocados and nuts provide you with an excellent source of nourishment while adding flavor to your foods. Fat does equal flavor! Sprinkle a tablespoon of crushed almonds over your salad and add a little DIY Avocado Dressing. You’ll be LOVING your salads in no time! Now, take these words of wisdom and sign up for your FREE Eating Healthy with Diabetes™ grocery store today! I hope you can make one of the tours, here’s a list of the one’s I’m leading in case you’re interested in joining me down in the San Diego Area! This is such a great program! Thanks for the scoop!